What scene with Vanessa did آپ like the best? Would آپ have preferred Eric to marry Vanessa یا Ariel? 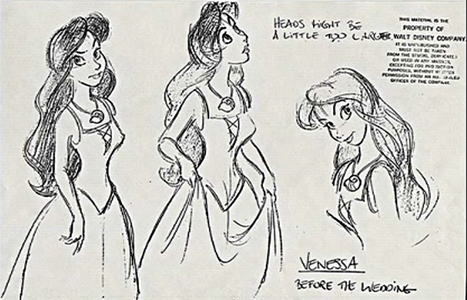 Who do آپ think is prettier Vanessa یا Ariel? آپ like Vanessa for her...? Ariel is asleep in her بستر with a happy smile on her face. She is dreaming of romance with Eric. Sebastian is also asleep, on the stand beside the bed, SNORING loudly. Scuttle swoops through the window and enters the bedroom. Finally Comes Out Of The والٹ -- October 3, 2006! The Disney Princess پرستار Club on FanPop, if you're a پرستار of the Disney Princesses, then شامل میں this club! a comment was made to the poll: What scene with Vanessa did آپ like the best? a comment was made to the fan art: Walt Disney پرستار Art - Vanessa from "The Little Mermaid"
a comment was made to the poll: Would آپ have preferred Eric to marry Vanessa یا Ariel? Who did the اندازی حرکت of Vanessa?